entrepreneurs world-wide to pitch their ideas to experts in exchange for the opportunity to build their business. product or to get funding for their company. Knowing and understanding who you are pitching to is critical. angels or standing on set with the Sharks, the experience of entrepreneurs is similar and preparing is essential. to give it a try. 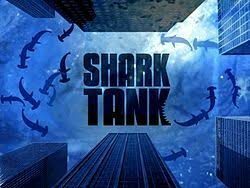 I recently asked Henry Miller, of Henry’s Humdingers about his experience being on Shark Tank in 2014.
their own business than they are not ready to pitch to others.